Chuck and his family live in Apex, NC and started their ministry at Catawba Springs in August of 1997. Previously, Chuck served the Lord as a Youth Pastor in West Hartford, Connecticut and Huntsville, Alabama, and as a Senior Pastor in Middleton, Tennessee. Chuck grew up in Worthington, Ohio and graduated from Bob Jones University with a Bachelor of Arts degree in Bible in 1981 and with a Masters of Arts in Pastoral Studies in 1982. 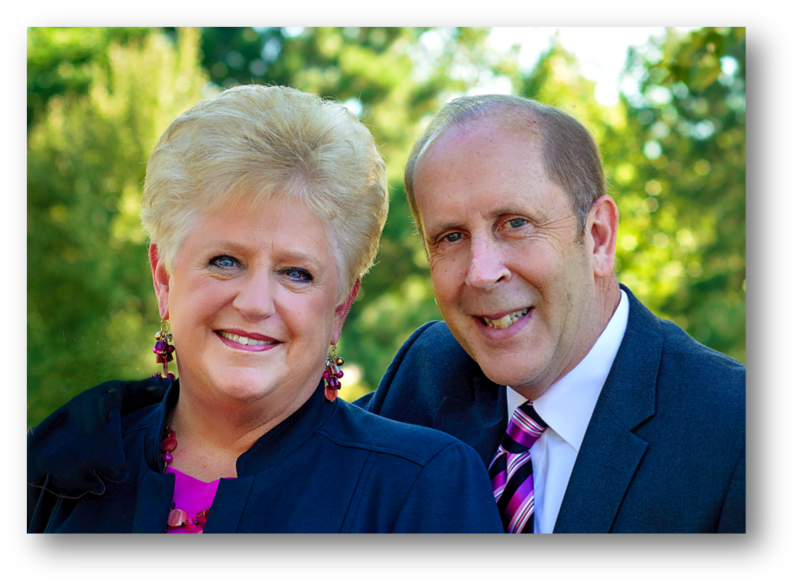 While at Bob Jones University he met Linda and they were married in the summer of 1982. They have seven children. His love for the Lord is demonstrated through his everyday living and preaching. His greatest passion is to see souls saved and Christians discipled to serve the Lord Jesus Christ in the local church to God’s glory! Mac and his wife, Beth, reside in Apex, NC and started their ministry at Catawba Springs in September of 2012. He was born and raised in Cape Cod, Massachusetts where he grew up in a Christian home. He attended Bob Jones University where he received both a Bachelor of Arts (1976) and a Master of Arts (1979) in sacred music. After receiving his degrees, Mac traveled with The Wilds Evangelistic Team for three years before marrying Beth. While "on the road," Mac and Beth were blessed with two sons, Christopher and Caleb. In 1988, Mac became part of the full-time music staff at The Wilds Christian Camp and Conference Center near Rosman, North Carolina. Through that ministry, he has composed, arranged, published, and ministered with God-honoring Christian music. Having ministered in hundreds of local churches, the Lynches are sensitive to the needs of the church. This is evidenced by their work in producing and publishing many choral arrangements and recordings. Their desire is to see the Lord Jesus Christ exalted through Christ-honoring music and to be a blessing and encouragement to believers in the local church. Brent came to Catawba Springs in 2014 and began serving as a pastoral intern the following year before joining the staff in August of 2016. He and his wife, Christy, along with their four children Madeline, Maxwell, Finnigan, and Allister live in the Raleigh area. Brent's passion is to follow Paul's admonition to Timothy in 2 Tim. 2:2, "And the things that thou has heard of me among many witnesses, the same commit thou to faithful men, who shall be able to teach others also." He has an especially keen interest in biblical Greek, textual criticism, and the Septuagint—all of which he attempts to share with our teenagers.